SCOPE/OLYMPIA is an international exchange program that brings together Canadian and American Scouts and Scouters for an extended weekend of fun program and fellowship. This experience began in 1967 when the Canadians visited the Baden-Powell District. 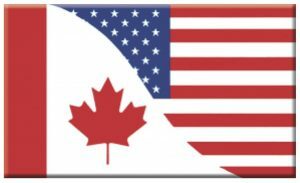 It has continued with the Canadian Scouts coming to the US and Scouts form the Cradle of Liberty Council going to Canada for the past 52 years. All participants youth and adult must have a current valid passport to attend trip. 5/23/2019, Thursday travel to Canada, via a Coach Bus. 5/24/2019, Friday city tour of Toronto, Ontario. 5/25-26/2019, Saturday/Sunday program and activities at Woodland Trail Scout Camp with Canadian Scouts. 5/27/2019, Monday travel home via Coach Bus. Flyer and info page— 2 sided event flyer with details, download/print/share with all Scouts.